The house in question is well known to me. It is owned by the paper mill located just across the road from it and is used for functions such as meetings and perhaps a party every now and again, held by the corporation. The reason there is little history of the"horrors" that took place there, is simply because there IS NO history of horrors which took place there. The reason no one talks about these "horrors" or "ghosts", is because THERE AREN'T ANY. It is simply a house. A big, very old house. Nothing more. . . nothing less. The only hauntings of that place, are merely that which people choose to create within their own minds. Fiction, not fact. Not based in reality. Sorry to say this, but there is no "hauntings" at the Martin House. Are you qualified to make such claims? Were you there, when she wrote this book, witnessing that she never interviewed one single person and told their stories? Have you ever investigated The Martin House, or any other "haunted" site, for that matter? I find your post to be a bit pompous, if not arrogant. Thank you for defending me and my story.. I found him or her to be a bit arrogant as well. He definitely would have a lot to say about Sandy Creek. I have lived in Panama City FL off and on most of my life. I actually live about 5 blocks from the martin house. I have seem and felt many things. It is something that is hard to describe unless you have seen it for yourself. I havent read this book but I will now. I have been in the house countless times and it is NOT haunted. I was there over the weekend and even went upstairs (the mill is in the process of renovating the upstairs). There was NEVER a family named Martin that lived in the house and no one was ever killed there. It was built around 1905 and was the home of the original mill manager (the saw mill, not the paper mill). International Paper acquired the property around 1930-31. The house has been used for mill functions and retirement parties ever since. I work at the mill and have access to the house and the only scary thing I have experienced there is trying to stay awake during a boring meeting. I have also been in the house alone when I gave my daughters a tour and they were not the least bit scared. I would not advise going there on Halloween night or the only thing that will scare you is a Bay County Deputy (and the one who was there last weekend was a K-9 unit). The guards employeed by the mill think the ghost stories are hilarious because they check the house several times a night and have never seen anything other than kids creeping around that they have to run off. Have you ever been there late at night alone for any time at all???? Well i have about 30 years ago with a few others and guess what the place is haunted! By who I do not know but it is ghost's.So your statement isn't Squat! what are you afraid of? you couldn't even use your own name. I am pretty sure I am already aware of who you are and don't want me to succeed. Jealousy? well I hate to tell you you are outnumbered on who believes the house is possessed. Sorry but there are too many similarities on the interviews I have done. I too have been there. It doesn't seem scary... The entities choose who they make contact with. Obviously you wouldn't be very interesting to them. I will pray they do make you a believer. I am interested in learning more about the house's history and I've done quite a bit of research over the internet, but I can find absolutely no evidence that there was ever a murder there. Lots of people say that one of the Martins killed his whole family there, but I find it a little difficult to believe since no one ever supplies any concrete proof of the original murder, right down to the year this happened or what the first name of the Martin man was. Where did you get your information? I am one of your sisters friends whom has read your books and would like to comment on them . Your books are written well and I thoroughly enjoyed them . 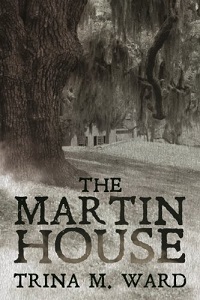 I lived in Parker Fl off and on for many years and took it upon myself to visit the Martin House on a few occasions . This house is haunted and I have witnessed lights flick ing off and on , @ times staying on for hours @ a time , a child peering from the top left window with long brown curly hair , and anothed child , male whom seems to be playing hide - n - seek . This house seeks to be more active on friday nights . Contact me if you like and thank you for sharing your writes . I do look forward to more ! Is it true that a father murdered his wife and two children in that house? I believe something to that effect did happen... from my interviews that seems to be the consensus. Read all the comments and it looks like the spirits or ghosts are pissed about something.. The "writer" uses unpunctuacted run-on sentences, defending a fairytale. The fictitious murder story has been passed down for a countless number of years. I have no doubt it started with one child trying to scare others. It's simply an old house. There are no facts to support the ghost story. Just because someone bases their opinion upon actual fact-checking, doesn't mean they don't believe in paranormal activity. I hope you had a ghostwriter (pun intended), because I could barely make out the points you were trying to make across here. I can't imagine trying to read an entire book of fictional "nonfiction", crapped out by someone who can't even write a legible paragraph. Thank you for this entertainment. I have no doubt that hillbillies do believe that unfounded, disappearing websites equate to truth. My son and I dropped our jaws trying to read this madness. I wouldn't drop a dime to see a book full illegible drivel. Wow, that is an angle on the house that I have never heard. I appreciate you sharing the truth with us and I would love to hear more. Perhaps you have heard other stories about my other books. I am always learning and interviewing people to create a believable story with my own personal twist. I can be found on Facebook or Amazon's Author Central page. Message me on FB and I would be more than happy to hear what you have to say. It is truly nice to know that someone has seen some of the activities I seen @ the Martin House . Merry Christmas ! I would really like to recommend that you spend a night or 2 on this property . Get back too me after you do and kindly give me a update . TY ! There are ghosts and horrors in the Martin House, that's the whole reason the paper mill bought it, so no one else can buy it. If it wasn't haunted then they would've rented it out a long, long time ago. The Martin House is one of the scariest haunted houses known to man. The son/ big brother, was mad at his family for something and dug holes in the walls to bury them , and he killed his parents and little brother and sister. and stuck them in the wall. You should really do your research. I was born in Panama City. In the early 80’ s I went to a party there. Wether it is haunted or not. The fact is I have never heard of any mysterious action or a truthful story of any horror that ever took place in that house. My family moved here on the early 60’s. No story as to its history has ever crossed my ears. It appears that there is controversy regarding this house. It is all good. Everyone is entitled to their opinion. I asked to go in the house, to rent the house for an event, get a tour or even have some one get pictures for me. I was just curious as to what it looked like and to see if anything happened. They shot me down. Why? You are partially right. The corporation doesn't talk about the horrors but PEOPLE OF THE COMMUNITY DO. They talk about their encounters while near or around the place. They all can't be lying and I wouldn't want to be to the one to accuse them of it. OPINIONS everybody has them and are entitled to them. It doesn't mean a random person's words will sway what people believe. SORRY. It is what it is. I don't know who this, "Mythbuster" is, but I have to wonder if they have ever personally done a paranormal investigation of The Martin House or any other place, for that matter? Are they personally trained, and/or qualified to make such a claim? Have they spent ANY amount of time, at The Martin House? Ever? Myth's as we all know, are generally stemmed from old stories. Stories that had to come from a personal experience, at some point. I find it very hard to believe that people just go around making stuff up. Especially, when this author interviewed people and those people shared their stories with her. Now, having said all of that, I have lived in this area for about 7-8 years now, this time. And, several times before then, for 2-3 years at a stint. I have always known The Martin House was haunted and that there was some horrific story behind it. There were people found in the lake, dead. There were murders inside of this house. Besides all of this? The book IS a novel. It doesn't claim, in any way, shape or form, to be a non-fiction writing. The Martin House/ Panama City, Fla.
Well I beg to differ, The house in question is exactly what she depicts in her story. I have lived in Bay County all of my life and my family has lived here and surrounding areas for MANY YEARS! Everyone who pays attention knows that The Martin House story is real and true. The Mill bought the house years ago because it was an historical sight and was going to be destroyed. It is closed off to the public and only used for functions instead of made into a bed and breakfast or Historical show home because of its history! If because of your religion or beliefs you don't agree with the history of the house and that it is Haunted then that is okay. Everyone is not on the same page and the haunting of this home are very true! Thanks for stepping up to the plate for me. I greatly appreciate your words and the response. The Martin House: Setting the record straight. I wonder if Mythbuster has thought to actually take the time to read the book. It is clearly stated that it is fiction. Just because she thinks something actually took place in the house doesn't mean the story was stated to be a factual account. I have had several encounters within the house while at company functions within the Martin house. I believe there is something in the area that haunts it. Why are the upstairs rooms locked? Because it is unsafe? why? They would give no answer to that question. I have heard stories about the lake too. Bodies were found and parts of bodies were felt on the bottom but then disappeared. So mythbuster it seems you are outnumbered regarding the legitimacy of the pretense of the story. I suggest you do a little more investigating before putting your foot in your mouth. Rachel-35yr old Panama City Resident. Thanks for your response in regards to "mythbuster" I think he/she bit off more than they could chew. I think a lot of people feel the way we do about the house and there is no denying that. Ive never been able to confirm that anyone was ever killed there. However, when the house sat vacant in the 80's and early 90's you can easily confirm through public records that a satanic cult was evicted from the house. The upstairs of the house to this day still has signs on the walls and floors from their rituals. I truely believe that whatever happened during this time opened doors that havent been closed. I have personally seen and experienced things at this house that I wont even share on here because frankly, if I hadnt been there myself, I wouldnt belive that it really happened. I tempted whatever is there twice to show itself, and it did. I will never, ever, do it again, nor will I ever go back to this place. The upstairs is sealed off from everyone. Its sealed off at the stairs. I have personally seen and experienced things at this house I can not explain. I wont even begin to share my experiences here because frankly, if I hadnt expereienced it myself I wouldnt even believe it. The bottom line is this. Ive never been able to confirm that a murder happened at the Martin House but you can easily confirm that a satanic cult was evicted from the house while it sat abandoned by the police in the late 80's or early 90's. I remember reading it an article in the News Herald about it many years ago. If you ever get the opportunity to go in the upstairs of this house, which is not open to the public, the evidence of the cults presence is still evident everywhere. My freshman year of college I worked at a local TV station and was shown video from a news story that was taped there. The segment never aired due to what occured on the tape. I will never forget the things I saw on that tape, nor my personal experiences there. Whatever is in that house is not kind and does not mean well. I would love to hear what happened on the video. I am still writing and am looking for another story. I have heard a lot and I think the cult is the one thing I didn't put in the book. I wanted to find out more but I couldn't find anyone who would discuss it. I even gave copies of the book to news anchors I knew and they have yet to tell me anything they might know, If you would like to tell me your story (anonymously) or otherwise, please email me or message me on facebook. scoobygirl@rocketmail.com Thank you. I've lived in Millville for 10 yrs. And I've had two experiences there. One night in '03, I saw the shape of a man on the porch looking at me. I was walking the Parker curve. And then in '04, I was parked in front of the house on the dirt road. There was a little girl in a pink dress in one of the upstair's windows. She was waving, then she looked behind her and started waving me to leave. My husband grew up here, and has been in the house. My brother in law went in there with him, and neither one of them will talk about what happened to them in there. All I know is something bad happened there. I have lived in or around the Callaway area for the last 60 yrs there has always been rumors of the house being haunted..ive never seen anything but the 2 functions I attended years ago at night ..I did not feel comfortable in the house it was like someone was looking over your shoulders..i do not know if it was just my imagination or if it was something ...but when I drive by there I have no desire to ever go back on that property..as far as someone being murdered there its very possible considering the area it is located in back in the 60s it was a very very rough area ..
On June 20, 1941, my grandfather was murdered in what was being used as a garbage dump on the back side of the Martin House property close to the lake. A man was at the dump to get scraps for his hogs when he saw my grandfather being taken out of a car. He had already been beaten badly. The killer proceeded to stomp my grandfather until he died. The witness alerted the police and gave them a description of the killer and his car. Within a few weeks, the witness' body was found floating in Martin Lake. I won't go into more detail other than to say the killer was very easy to recognize due to a physical impairment, and he was a prominent business man in the area. Another witness also came forward and said he saw my grandfather in the company of 3 men earlier that afternoon and it appeared my grandfather was possibly drunk. The witness knew all 3 of the men, with one of them being the same man seen at the dump stomping my grandfather. As it turned out, my grandfather had no alcohol in his system per the coroner. No arrests were made and the case was closed. When I tried to get the records from the county, they said the courthouse roof had leaked and destroyed the records. The newspaper articles are very brief with no real information. They even misspelled my grandfather's name so badly, I had a hard time finding the articles. End of story. As for ghosts at the Martin House, I have never been there so I have no input on that subject. However, I well remember as we travelled north on Hwy 98 towards the papermill, my mother many times pointed towards the part of Martin Lake that is south of the Martin House property and she told me there were many unexplained deaths (other than the ones I have described) in that area. Bodies found floating, children killed by bank cave ins, etc. I wish I could remember more details, but I do know she described several. Sorry to say the house is not some big mystery. Great grandfather retired from the papermill and he and great grandmother also attended party's the Martin house there's even a bayou and a road named after these two people who had lived here all there lives. Pratt bayou. And as no one talks of these ghost or killings and there's no history to be found on any murders cause there isn't any. But the local teenagers had to start some rumors years back just because its what kids and writers do, they make up things that interest them. I love to read so now I'll read the book and have a good laugh. Great granddaughter. My book is in deed fiction as the front of the cover says. The fact of the matter is that the 30 some odd people I spoke with prior to writing the book had some kind of encounter in or around the house. The majority of the comments back that fact up which is why I wrote about it. I am glad your grandparents were allowed in the house. They won't let me in. I wanted to have my book signing there and they told me it wasn't safe????? That was straight from the Paper mill. Have a good one and I hope you enjoy the book. I will definitely keep that in mind Carla. Do you have any history on the house and what types of things have happened that would cause you to think it is haunted? If Mr. Martin killed his family and or servant and himself or if the servant killed everyone and hung himself, why would the paper mill hide it? What do they have to gain from hiding the truth? I can't find nothing online regarding the history of the murders or hanging. I can't even find a physical address either. Something definitely happened in that house, but what? I've lived in Panama City since 2008 and still have yet to find a story online regarding the actual event.